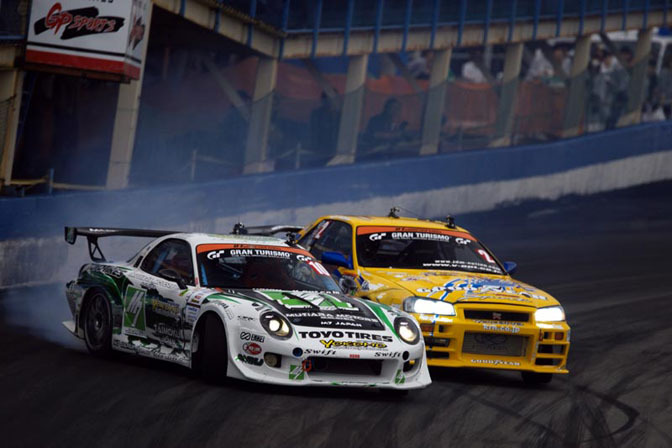 This weekend was a busy one for the Japanese D1GP series with a two day "double-final" event at Ebisu Circuit. Normally Dino would be out there shooting for you guys, but since he's in Italy at the moment we'll have to improvise. 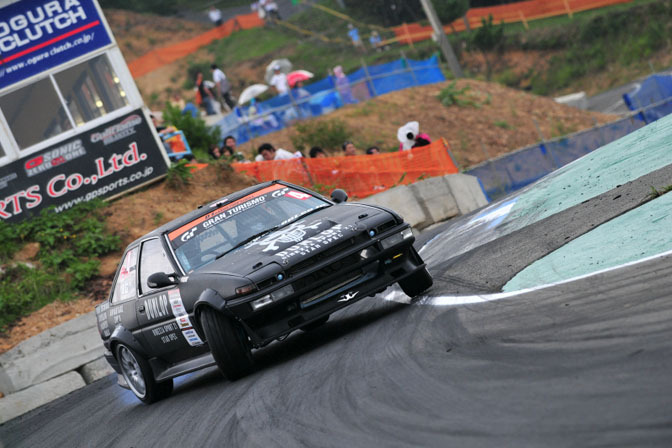 Here are some photos from the weekend's action at the temple of drift. 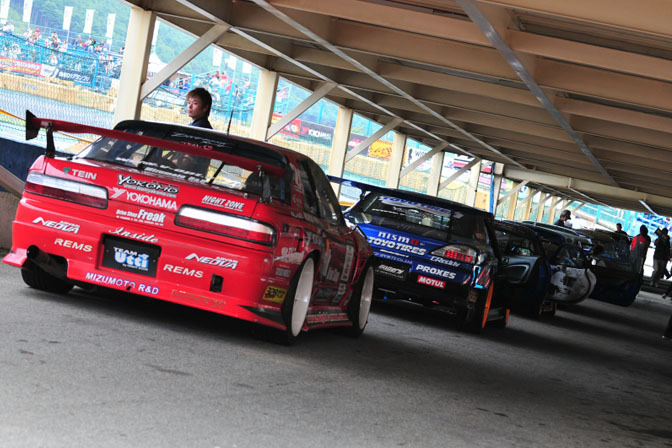 Fan favorite Manabu Orido was out in his JZS161 Aristo and managed to to qualify in first position for round five. 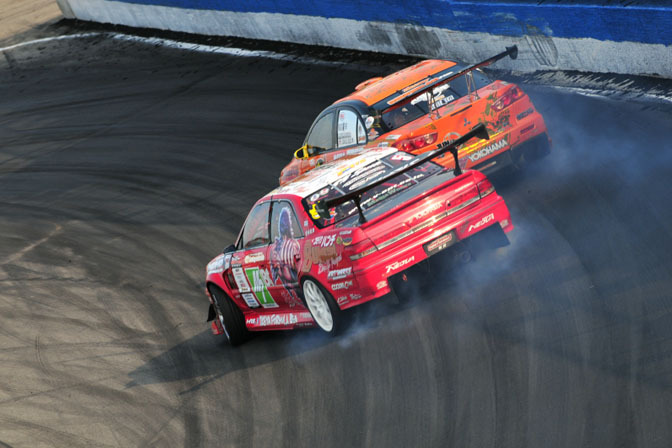 Naoki Nakamura in the D-Max S15 qualified third. 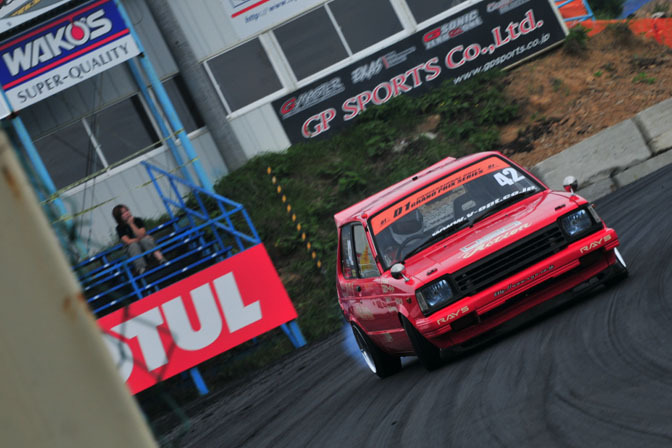 It's been a long time since we've seen this KP61 Starlet in D1. Unfortunately Iwai-san wasn't able to make the cut for the Top 20. 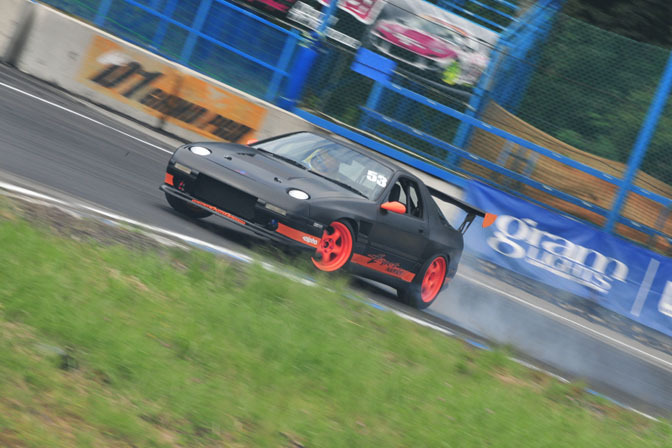 While browsing through this photos this privateer style FC3S driven by Tomoya Suzuki caught my eye. I can't recall seeing this car before. 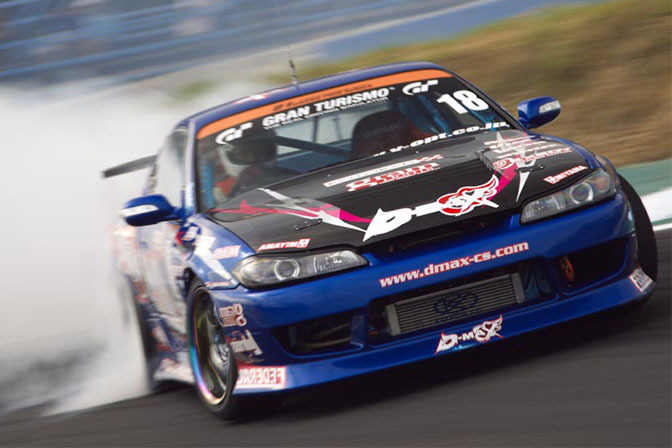 Koichi Yamashita smoking it up in the Weld JZX100 Mark II. Orido putting the back end of his car into the pit wall, drift matsuri style. Daigo Saito and Kumakubo running together during practice. Still no word on Daigo's Mustang eh? 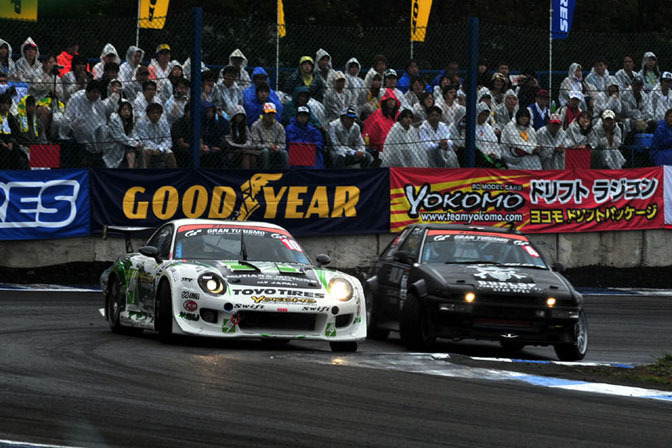 There's Hibino coming over Ebisu's infamous "bump". …and then came back on Sunday and defeated Tsuyoshi Tezuka for victory in round six. With the two wins Suenaga has put himself back in contention for the '09 championship with just two rounds left to go. 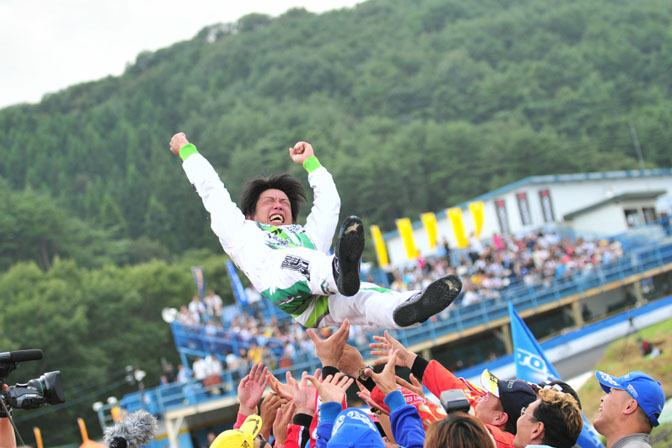 Tsuyoshi Tezuka is currently sitting on top of the points standings with Hibino, Imamura, and Nomuken following close behind. 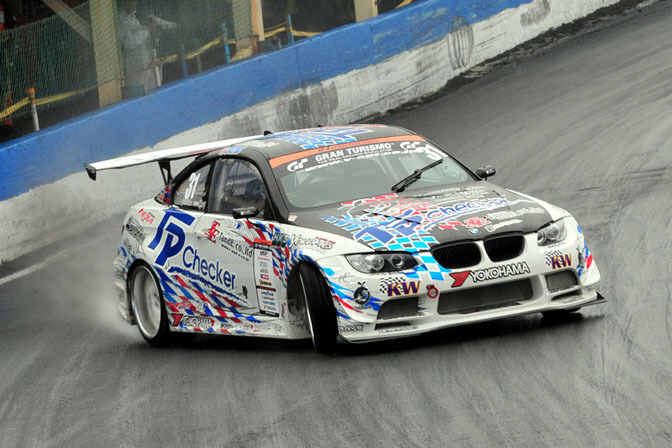 The '09 D1GP season will finish up in October with a dual-final event at Fuji Speedway. 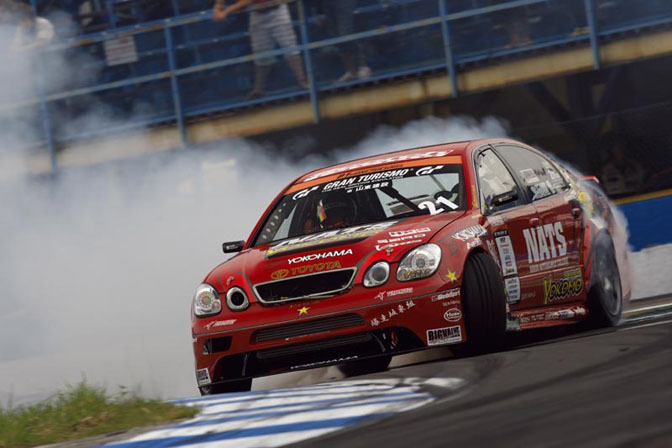 mike please do you have pics of the italian drifter Federico Sceriffo with the subaru of team orange?!? is jdm option gonna come out with anymore videos? Last pic is awesome! Any more pics of the FC with 928 headlights? Looks interesting. my friend has a new jdm option from the 2009 season...its not international though, and i cant believe there is still a starlet thats really cool!! Could we have wallpapaers on the weld mark II and Orido,s aristo?? 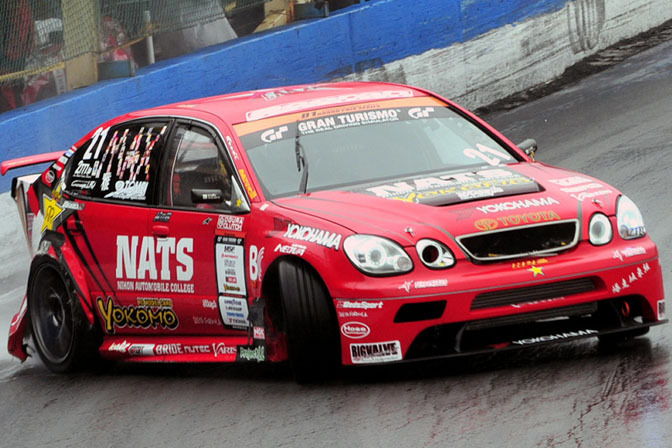 "yea more pics of neo-force kp and weld x100 please"
does anyone know what body kit Manabu Orido has on his Aristo? can we get it here in the states? Awsome coverage Mike, personally my favorite person of all time's been tezuka, so i'll be cheering on for him for that last round in october. wallpaper of first pic please! in love with that red coupe! C'est dommage que l'on est pas plus d'info sur le drift japonnais, ni mê^me de videos, snif !